The LUSAS Steel Design option builds upon the renowned modelling and analysis capabilities of LUSAS and extends the engineer�s workflow to allow design code checking of steel members. In some finite element software systems, sectional design is offered through summary pass/fail checks on a model. 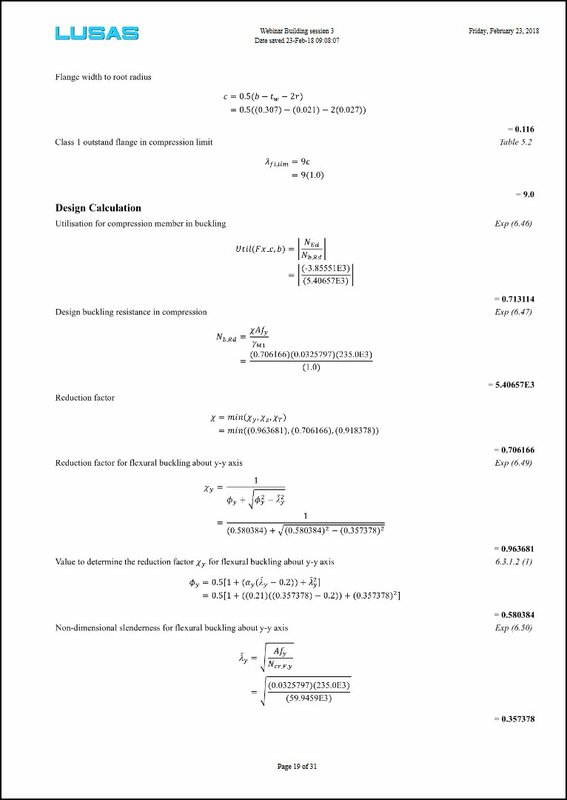 Whilst LUSAS offers this, it also provides users with full details of the calculations made, referencing all relevant clauses and equations from a design code - giving a step-by-step calculation transparency normally only found in simple frame analysis software. Full details of the design checks undertaken can also be written to a model report. AS 4100-1998 Steel Structures (Australia) - Australian Standard: AS4100-1998, Steel structures, Standards Australia International Ltd, Sydney. EN1993-1-1+A1:2014 - EN 1993-1-1:2005 Eurocode 3: Design of steel structures � Part 1-1: General rules and rules for buildings. 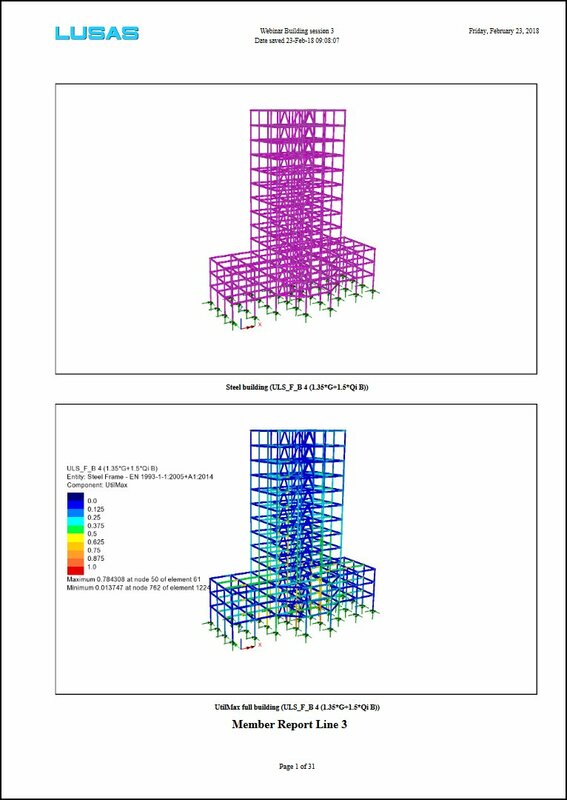 Design check results are visualised as Utilisation ratios on a results viewing layer for a selected design code, and active loadcase, load combination or envelope. Results components for individual design checks can be chosen for viewing, and maximum utilisation factors can also be obtained. "The new section checking facility... provides everything the user needs to interrogate and verify the implementation of the design codes, which is a welcome contrast to the �black box� approach of some other software packages."